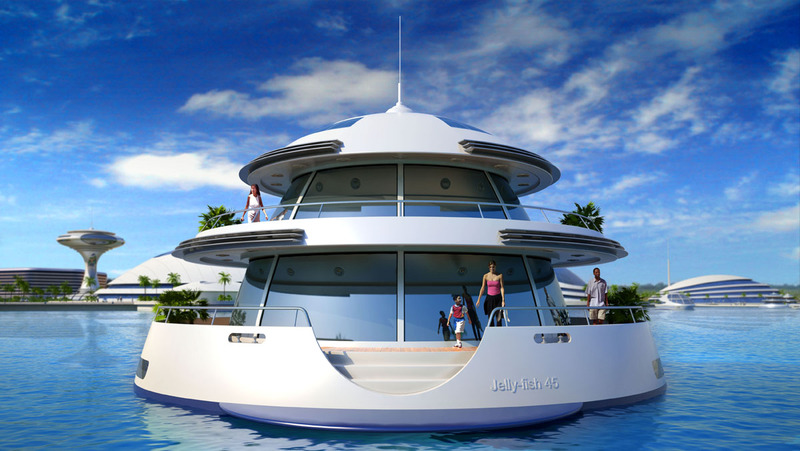 The Jelly-fish 45 is a floating house for six people, 9 metres high and 15 metres in diameter. 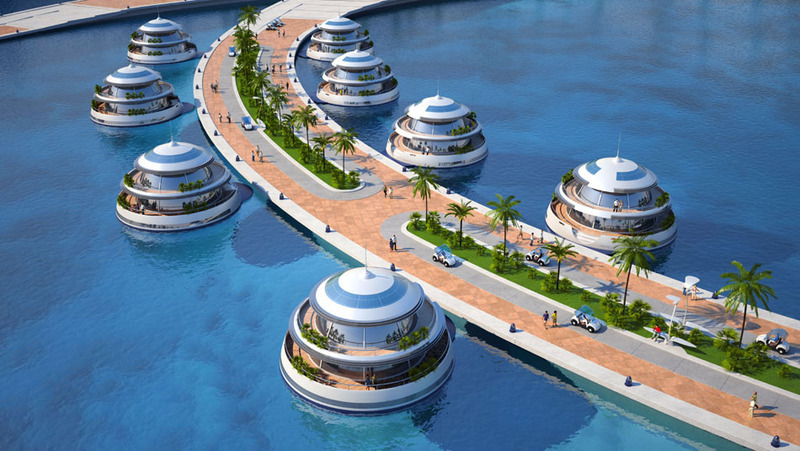 Designed by Giancarlo Zema for SemiSubGeneration it is suitable for living in sea parks, atolls, bays and seas rich in flora and fauna. With Jelly-fish 45 people may live either above or below sea level. 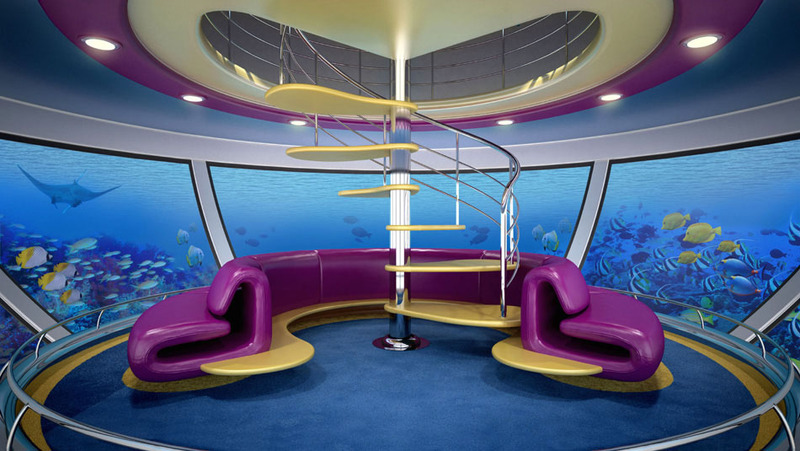 The structure is composed with hull in steel and superstructure in aluminium while the submarine globe is made of polycarbonate highly resistance. It consists of four levels connected by a spiral staircase. The top level is 3.5 metres above sea level and is intended as a study room. The one at 1.4 metres above sea level is the day-time area with a kitchen and bathrooms. The level at 0.8 metres below sea line is semisubmerged and is designed to house the night-area with bathrooms and technical spaces. The submarine world become available to one and all in the globe at 3.00 mt below sea level. The shape of Jelly-fish 45 is the result of observing jellyfishes that animate our seas with their light floating bodies.